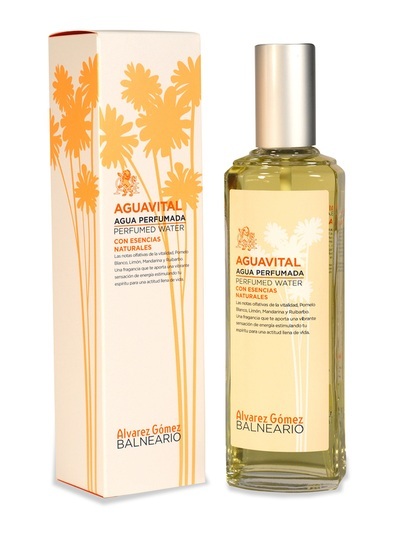 Alvarez Gomez Aguavital Perfumed Water is a refreshing fragrance that stimulates and is full of life. Formulated with essential oils of White Grapefruit, Lemon, Mandarin and Rhubarb. A light and refreshing fragrance. We recommend a few strokes on the body to start the day with an active and positive attitude. You can not leave without it. Key Ingredients: Essential Oils; White Grapefruit, Lemon, Tangerine and Rhubarb. Alvarez Gomez Balneario Aguavital collection: a selection of revitalizing products designed to awaken optimism and nurture your skin’s health. 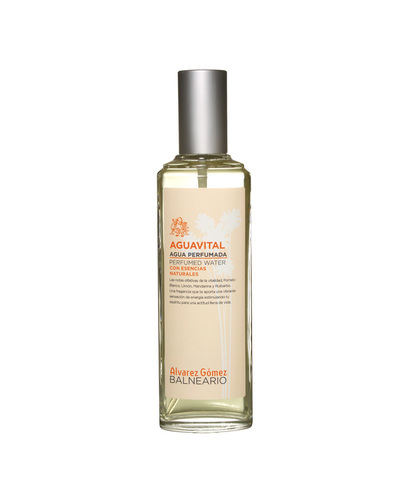 It contains lip treatment balm, scented water, combined body and hair gel, extra-nourishing body butter, anti-aging renewing body exfoliant and oil for the body and hair. 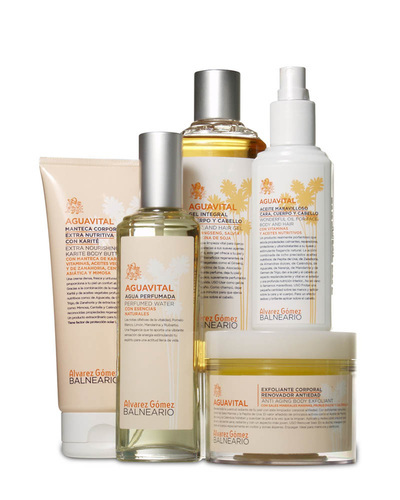 All these products use revitalising ingredients, such as shea butter, wheatgerm, ginseng, as well as orange, mandarin and carrot oils, amongst others.